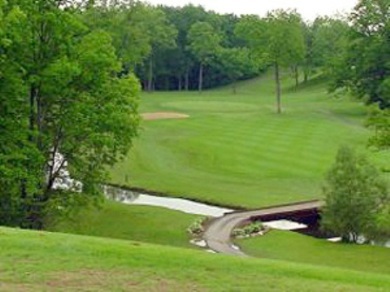 Blue Heron Golf Club is a Public, 27-hole golf facility located in Medina, Ohio. 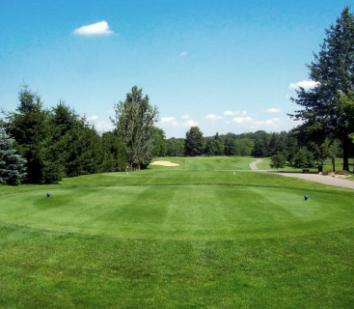 Blue Heron Golf Club has three 9-hole golf courses. These courses can be combined in pairs to form three different 18 hole course challenges. The nine-hole courses are The Lakes Course, The River Course, and The Highlands Course. Blue Heron Golf Club opened for play in May 2005. The courses were designed by John F. Robinson. The Blue Heron Golf Club courses are located in Blue Heron Estates, an upscale residential community. 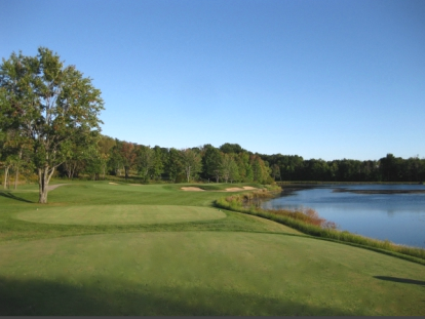 Blue Heron has 27 holes of distinctive topography including elevation change, ravines, natural lakes and streams, and routing through native Ohio forest. Five sets of tees ensure playability for each skill level, while finely manicured bent grass greens, tees, and fairways assure championship conditions for all. Their golf cars are equipped with GPS. 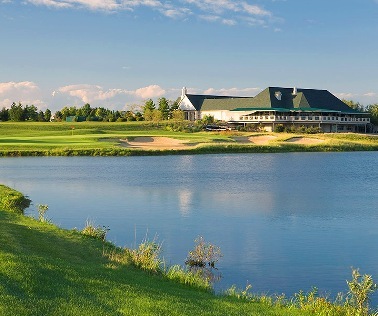 The 27-holes of marvelous golf are complimented by the unrivaled 29,000 square-foot "clubhouse that offers The River Styx Grille, a full-service restaurant featuring a dining room, outdoor patio with golf course views, bar with cathedral ceilings, and a wall full of flat-screen televisions. Add to this the handsome locker rooms, complete with shoe service, men's and ladies' lounges, and shower facilities and you have a very distinctive public access golf facility.  The course closed in November 2012. Course was in deplorable condition - should probably be shut down. Pros in shop were surly and unprofessional before, during and after the round. Nice pro shop - by product does not represent the course and there was no one there who knew equipment when asked. Course is incredible - fun and challenging for the better player - great graphics on GPS. Cart broke-down mid-way through the round. Long story - financial problems, apparently. Too bad - the course could be awesome. Halfway house was closed - range was out of balls. Phew - what a disappointing day. But, if professional staff was changed and money was spent, could be an amazing day at the course. Course needs more maintenance, not as nice as in the past. Still enjoy playing the course. 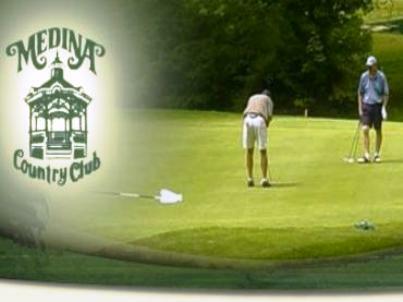 Our golfing group was in Medina for a wedding on 7-9-11, so we sought a "nice" course that would be suitable for various skill levels. Blue Heron turned out not to be the right choice, as it is quite difficult (see the slope and rating), with many target golf landing areas, serious rough just inches off the fairway, and relatively poor graphics and other info to help out a first-time player. Having said that, those of us in the group who were regular golfers (full disclosure: I'm a 13.6 Index, and play about 90 rounds a year, so I have something to reference), as opposed to those who swing the sticks every other year or so, found BH to be an interesting challenge, and perhaps worth another visit. The layout covers a lot of area, with some major elevation changes, gullies, and water, and the development homes do not impact the golf sight line or shots. The course is most definitely NOT walkable, since there are very significant distances between holes; in one case we thought we were lost, we were driving so long. BUT, and this is very important, the condition of the course was AWFUL, especially for a $55 green fee. Bunkers were empty of sand, and filled with mud and weeds, most greens on the two nines we played (Highland and Lakes) had serious problem areas (burnout, cracked soil, bare spots, etc. ), and there was clover everywhere. The grass was mowed, but not much else. 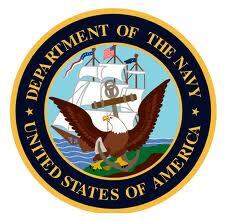 This gives the appearance of a course in financial trouble, with insufficient maintenance money. Be warned! The staff we encountered were uniformly professional and helpful, and when asked why the course was in such lousy condition, gave a diplomatic shuffle and referred us to the pro shop. 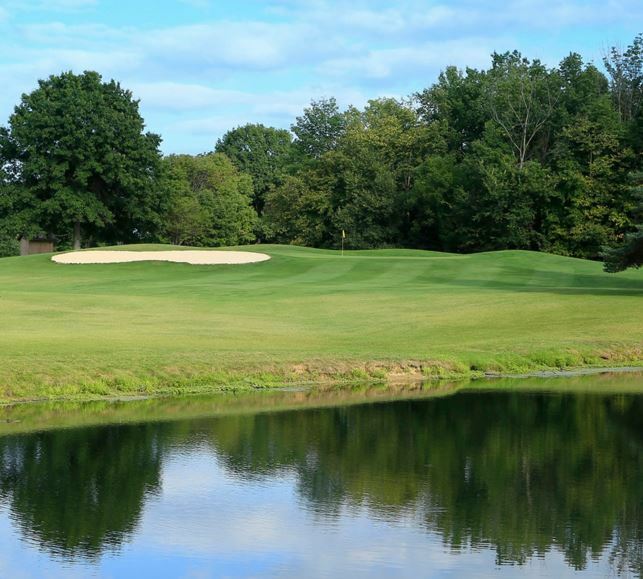 Based on all of this, I can only offer a cautionary recommendation, despite the potential of Blue Heron: I'm not from the area, but I know there are other courses within 10 miles that are much better maintained, and cost less. Shop around! !